Happy Monday everyone, I hope you enjoyed your weekend! We are still knee deep in snow, and I haven't seen signs of it going away anytime soon. My kids are loving all the HUGE icicles around town. I guess winter had to arrive eventually. I am good with it...as long as it goes away in time for spring! 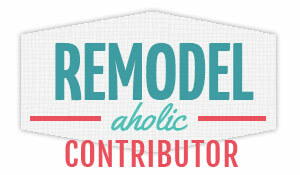 I have some exciting news to share, I was asked to be a contributor over at Remodelahloic! Eeeek! I am totally doing a happy dance! 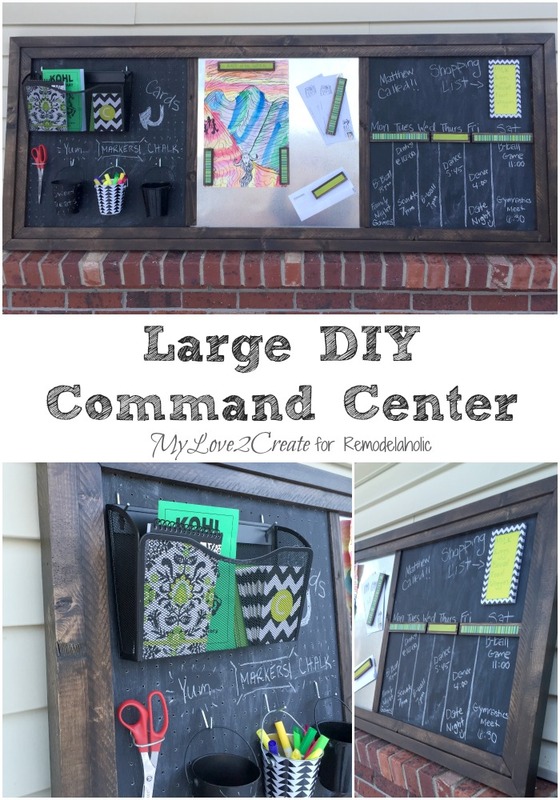 Today I am sharing my very first post, my Large DIY Metal Pegboard Command Center. 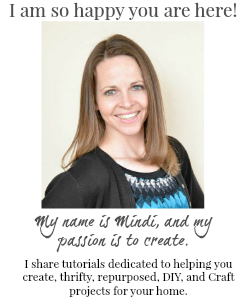 Oh, and stop by later this week for a fun and easy project! I love corrugated metal with the stained wood!!! I like the latest version as well, but the first one...OH MY!! Okay, I really like both versions, but I think I like the corrugated metal version a little more. Keep warm. Here comes the snow...again.